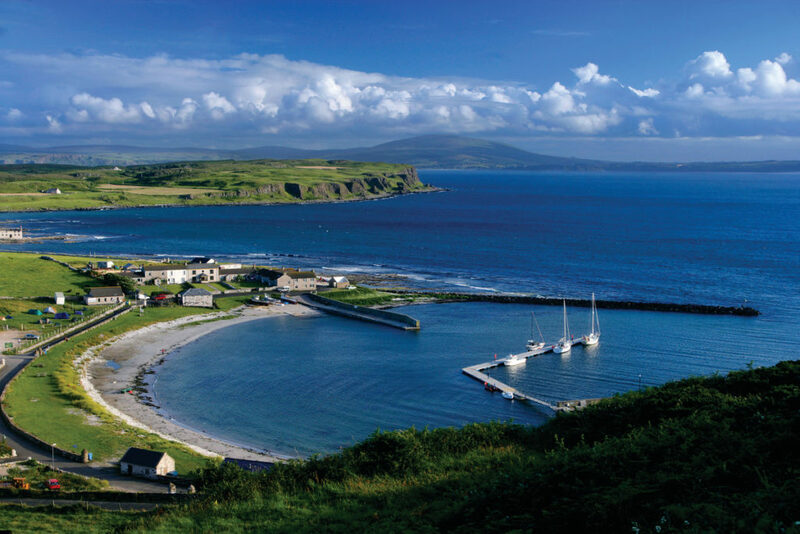 A number of historic sites on Rathlin Island including the World War 1 wreck HMS Drake and the island’s three iconic lighthouses have been designated as listed sites by the Department for Communities. The shipwreck of HMS Drake, which lies in Church Bay, has been designated a scheduled historic monument. A heavy armoured cruiser built between 1899 and 1902 she was designed for scouting and commerce warfare. The Drake was sunk by a torpedo strike from a German U-boat in October 1917. 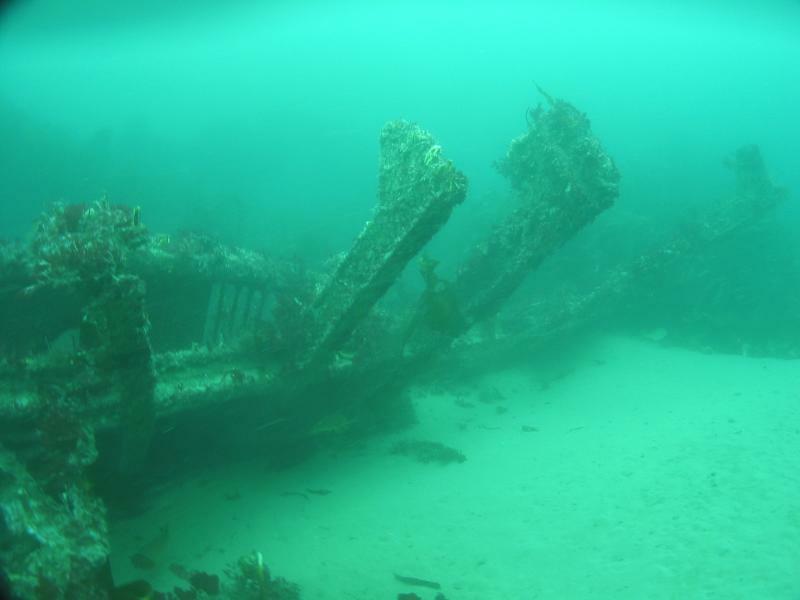 Despite being later damaged by a fishing trawler that now lies wrecked across her and subsequent clearance operations, the vessel remains are considerable with elements such as anchors, guns and steering gear clearly visible to divers. It is recognised that the Drake is a popular dive site and this move to protect the wreck will not mean the imposition of an exclusion zone and/or licensed diving which might otherwise hinder responsible public access. Divers will still be allowed access the wreck but will not be able to remove anything from it. In addition to the wreck the three lighthouses on the island will be designated as listing buildings. For over 150 years there has been at least one lighthouse on the island acting as a vital navigational aid for passing seafarers. The earliest of the three lighthouses,the East Light, dates to 1856 was designed by George Halpin. The lighthouse is unique in having two lanterns to improve its visibility in the fog, an upper occulting light and lower fixed light. 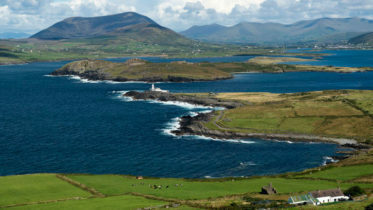 The West Light is a particularly unique, it is Ireland’s only ‘upside-down lighthouse’. It was built between 1912 and 1917 at the top of Kebble Point. The cliff was too high for the light to be effective so it had to be placed some way down the cliff, making the lighthouse upside down. The third lighthouse on the island, South Light, was built at Rue Point in 1921. It’s octagonal in shape and set at sea level on the exposed rocks acting as a warning for ships passing Rue Point. 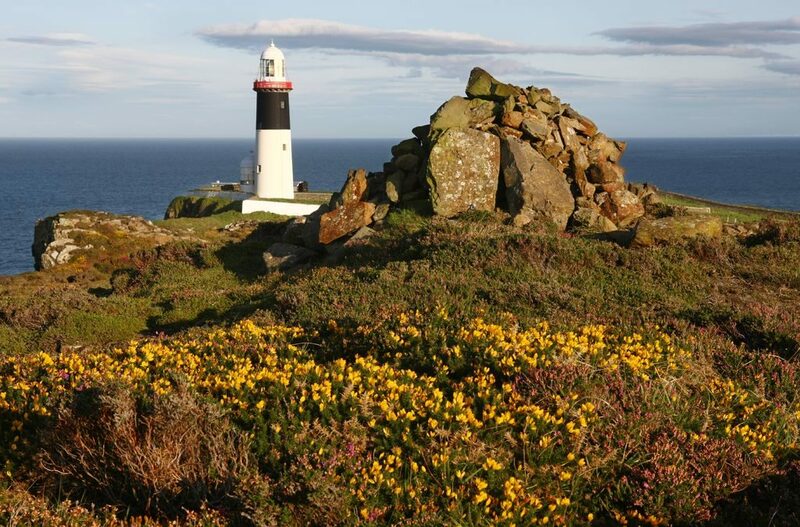 The listings include the lighthouses and their associated structures including the light keepers houses and engine rooms, demonstrating the social aspect of light keepers and their families and how they lived on the island.